Both will be playing for you so you can hear how wonderful this acoustic guitar sounds. As I doing research on Kraut guitars also I was looking for who in the industry plays these guitars. As luck would have it I ran across Mau Lao who was demonstrating this guitar. From what I can find Mau is a musician from Montreal Canada don’t know if good is the right word to describe his playing but fantastic and/or very gifted would be. I was immediately drawn in by first how good this guitar sound then by Mau’s rendition of this very old Irish song. Very peaceful, melodic and soothing. I do know you can find him on youtube and he is over at Acoustic Guitar as a member of the community and you can find him here at: acousticguitarcommunity.com. This Custom Acoustic Guitar is a Kraut OM cutaway. It’s got a great tone as well. The second performer is Don Latarski. A brilliant performer in his own right bar none. Like I was saying with the last video. Also while researching custom guitars by Kraut Guitars, I accidentally ran across Don demonstrating this great acoustic guitar. I had to go no further to find such talent or fame as he embodies both. Very skillful player and Talented performer. He currently lives in Oregon and is Head of Guitar Studies at the University of Oregon. It was a lot of fun finding this acoustic guitar. We are going to find some more of the best Luthiers and Custom Guitars that we can find. 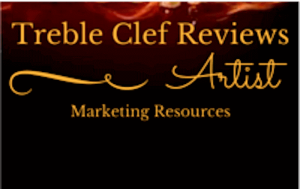 Make sure you bookmark trebleclefreviews.com and come back from time to time and see what we’ve got for you, including more Great Classical Guitarists. Finally, do you like this kind of guitar information? And do you have a favorite guitar you want to see here? Let me know in the comments section on the Review page. Here’s to you, till we meet again. I know he is right! I mean I was mesmerized at his playing. Very talented musician.Stop by again. Your site causes it to be so easy to learn, comment and share! Wasn’t that a great sounding custom acoustic guitar? And Mau Lao man! that cat’s rendition of that Irish song was amazing. Thanks for the comments and please share by all means, the world just needs to hear more of Mau. Come back soon will talk then.